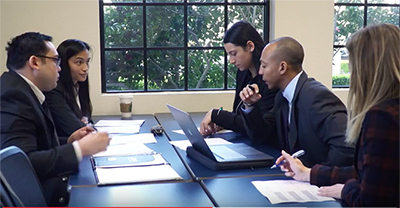 USD School of Law's Experiential Advocacy Practicum allows law students to practice skills common to those performed by junior attorneys. The practicum represents an expansion of experiential learning and the integration of practical skills training, and is now part of the required coursework for all first-year students. The practicum is designed to provide students with an introduction to the two major areas of legal practice, litigation and business law. Focused on a fictional negligence case and a buy-sell transaction, respectively, each semester of the first-year curriculum now incorporates learning-by-doing skills exercises. The skills taught to the students and practiced by them in small breakout sections include client interviews, depositions, oral advocacy, negotiations and the drafting of both formal legal documents, such as a transactional term sheet, and communications, such as email summaries of interviews, depositions and negotiations. San Diego practitioner Linda Lane, who is the Annsley and George Strong Professor in Residence for Trial Advocacy, designs and oversees the course as well as lectures to the students on various litigation-related topics. Lane is also overseeing the small sections, led by experienced practitioners who, as adjunct professors, work with our students, in teams and individually, to teach these important practice skills. Adjunct professors for the course are meant to represent a variety of practices to expose students to possible careers in the law. We are fortunate enough to have a team of highly successful practicing attorneys teaching the students. This team includes representatives from the public sector (Assistant U.S. Attorneys, District Attorneys, Public Defenders, City Attorneys), large international litigation firms, boutique specialty firms, solo practitioners and in-house counsel. Lane was previously a litigation partner with Morrison & Foerster LLP. She currently advises clients on product liability issues and is a certified faculty member for the National Institute of Trial Advocacy. 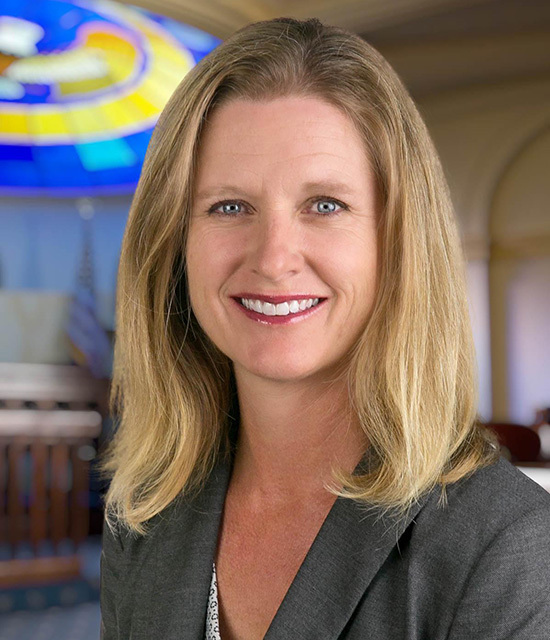 Lane was recently appointed President Elect of the Legal Aid Society of San Diego Board of Directors.